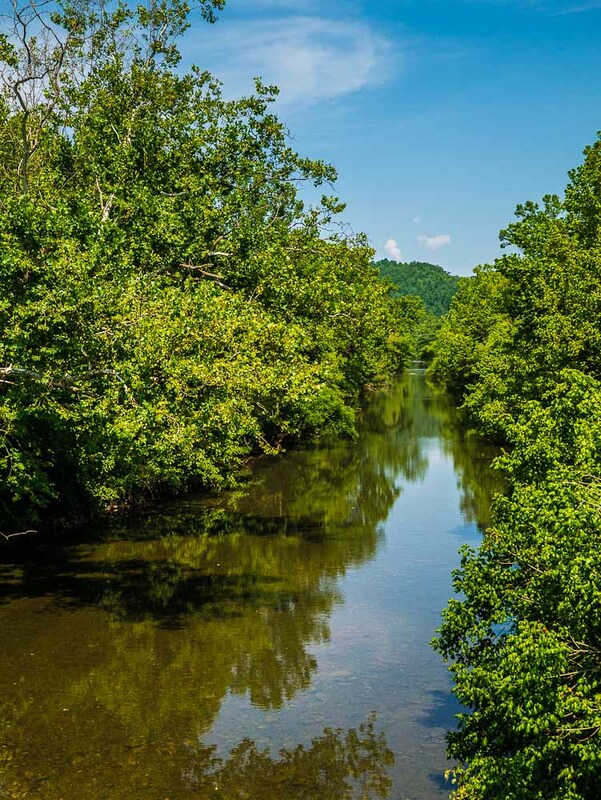 I was standing on a concrete bridge across a river in North Carolina and made two views. 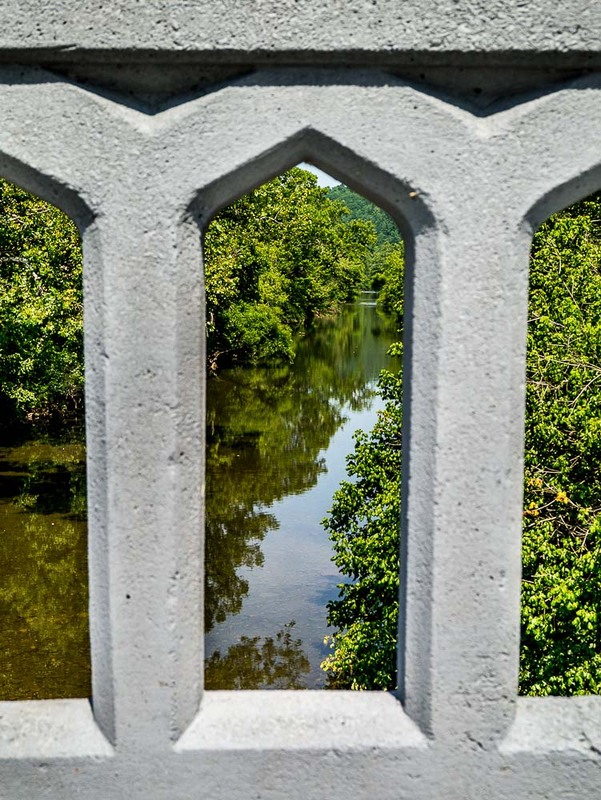 The first is obvious, the second is the same view of the river but this time framed through an opening in the concrete railing along the roadway portion of the bridge. I like the second one best.